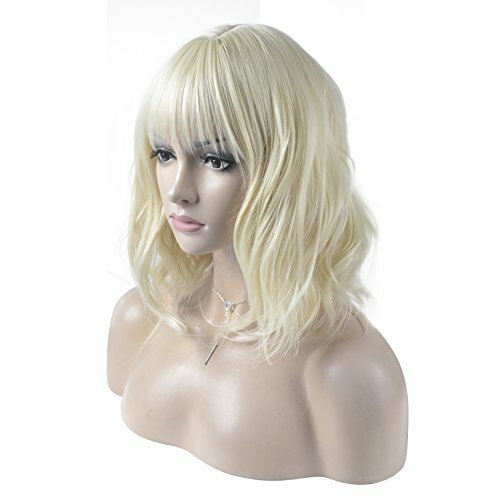 New Blonde Wig With Bangs Deals. Halloween Store. Incredible selection of Halloween Costumes, Halloween Decorations and more! 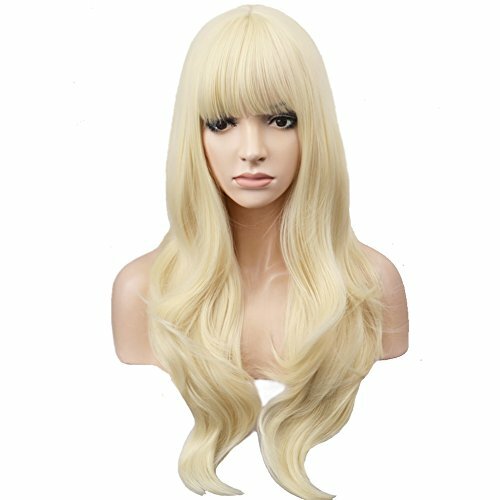 Specifications: Material: high-temperature synthetic fiber Length:23.6 inches Weight:0.7 pounds (approximately) Feature: High quality high-temperature synthetic fiber wig. Adjustable and breathable rose net,touch soft and can fit different head size. 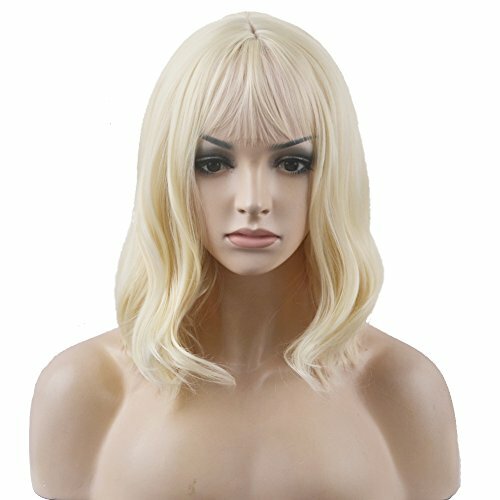 Easy to store and Wash. Common sense about wig About wig care: 1.Not to spray gel water and wax on the wig,which will cause the wig oily. 2.Don't use hair pin for fear that it may damage the net. 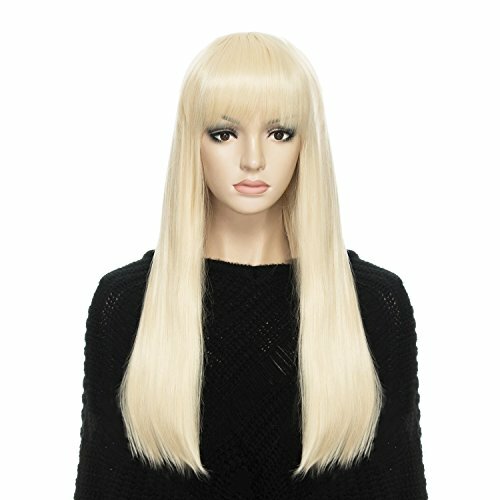 3.Be gentle and patience when comb wigs.And long wigs should be combed from bottom to top. 4.After use, put it back to the box. 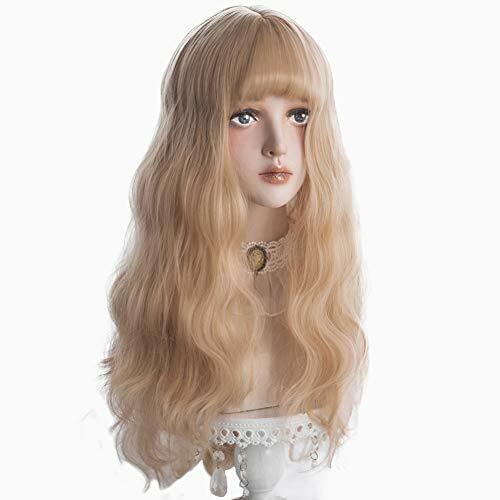 5.If hair knotted after long use,use non-oily maintenance fluid of wig. 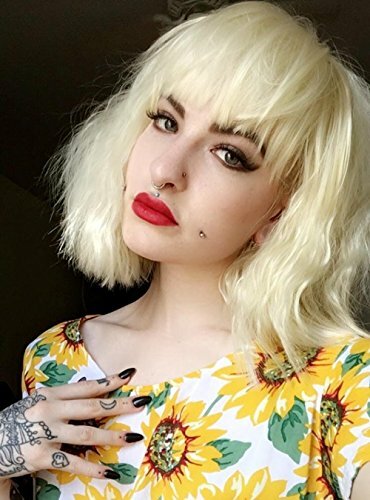 About washing: 1.Remember to wash before you first wear. 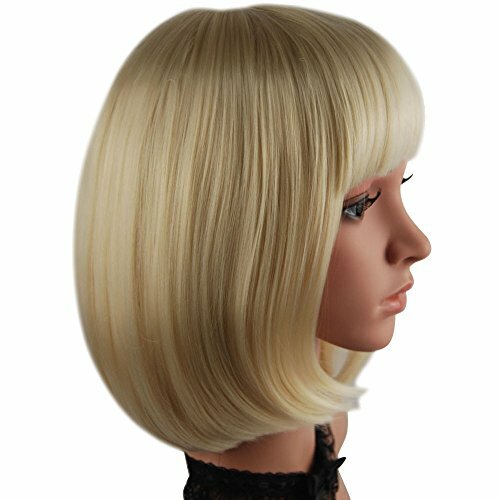 2.Remember to wash the wig termly(usually wash once in one or two months). 3.Wash in cold or warm water with common shampoo. 4.After washing,best let it dry naturally or use a towel to help dry. 5.After washing,don't comb the hairs before it dry.